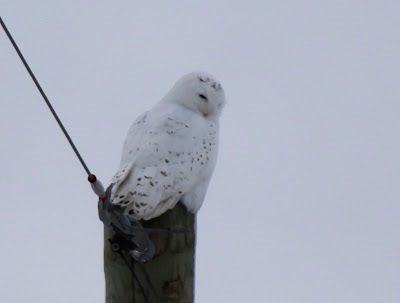 A beautiful male Snowy Owl. For the past few years Boxing Day has meant "pajama day" around here, but not this year. Rob and I decided to go birding. With all the Christmas preparations I haven't been able to get out birding much, and really missed it. 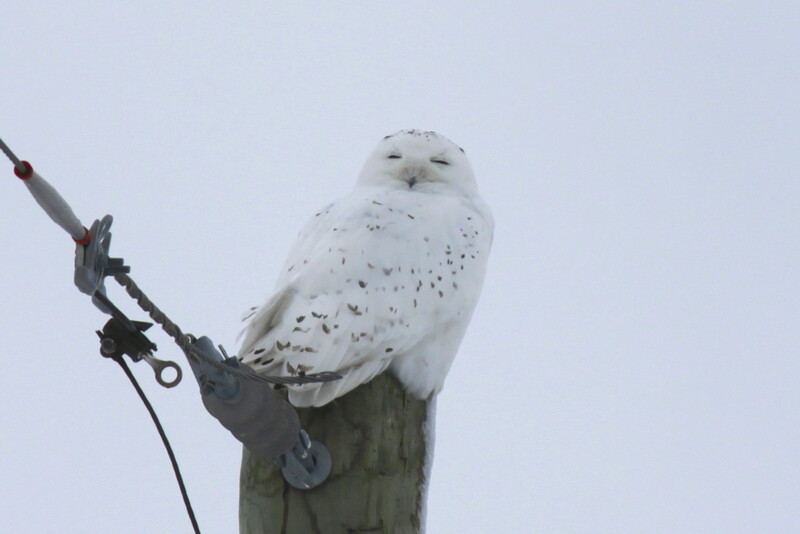 We went looking for a Snowy Owl and found a Snowy Owl and it was totally worth getting dressed for!! I believe a new Boxing Day tradition for us was born yesterday, "Boxing Day Birding"! This is as close as we walked to the pole he was sitting on, as we didn't want to spook him. Looking at something we couldn't see. If you are lucky enough to see an Owl in the wild, please keep a respectable distance, don't force him to fly and don't linger, they need their rest. Good for you for getting out. We were soooo lazy! Lovely capture and memory to share and enjoy. Thanks!